Remember, these are important for shifting into much higher timelines. As the old dissolves, the new can come forth. Our human experiences will assist us in clearing out all of those energies that were in “our way”. All of those protections mechanisms “against”, all of those excuses, all of those walls, all of those “reasons why we couldn’t”….. all of that energy goes. The first thing we all have to do, is get over the judgment about all…. and start to open up to POSSIBILITY and KNOWING, that defies the laws of the limited human experience here. The next thing we do is BELIEVE…. 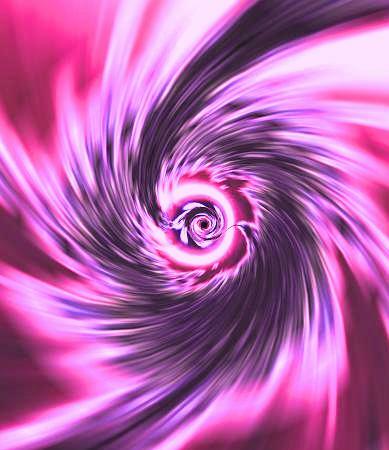 and open up to a much higher vibrational/dimensional EXPERIENCE to actually occur…. The next thing we do is look at our whole life, and see where “happy, joy, bliss and magic” are not reflected through our actual experiences…. then we have to DECIDE… otherwise our experiences continue to reflect our “lack” back to us, to experience until we are “done” fully inside… and fully ready for a NEW EXPERIENCE… one that is beautiful, amazing and supports LIVING our own LIGHT. For our human/ego aspect, this is challenging for awhile. All the limiting beliefs, all the conditioning, all the programs, all the attachments and “need”…. this we have to work through ourselves, with or without the assistance of “others” (an aspect of ourselves)…. because, in ESSENCE, if we are not ready… nothing can happen for us, other than the things we do not want…. which is what occurs when timelines vibrationally collapse (which is a unification within itself). Learning to LIVE OUR DREAMS and maneuver timeline shifts, navigate the various dimensional realities available (or present)… is a part of all of our human “school” experiences here. It’s also a part of what we wake up “in” and “through”…. for Transcendence to occur, once we have resolved all inside of ourselves and recalled/merged all of our fractals/aspects fully back inside again. Our “dreams” change…. constantly, which is why we don’t get “stuck” on things, or affix to things…. as things don’t define our happiness, our joy, our worth…. things SUPPORT fulfilling our highest purposes/roles/missions here, they are but ENERGY IN FORM that we learn to utilize, to make a difference in the upliftment and re-evolution of hUmaNITY here. Ascension and Embodiment… many use these words. They are words to describe a process of awakening and returning to Sovereignty, Mastery and holding PURE SOURCE LIGHT CONSCIOUSNESS fully, from within our actual physical bodies, which is a huge transformation and transition process that’s never-ending. We are always awaking, activating and integrating MORE from within us, as we clear any programming still held on a cellular level, which differs with each LightBody phase. EVERYONE COMING TO LIVE A NEW EARTH EXPERIENCE FULLY will go through ALL of these processes their own self. DNA re-writing can’t be done by “anyone else”. Yes, we can activate each other and even hold others in our fields, to accelerate the process exponentially, because consciousness dictates the physical… instead of the other way around like in our 3D/4D experiences before. Yes, other’s DNA can be re-written through exposure, which is just one of our roles here. Whether virtual or in-person, each serves different purposes and acceleration is different too. BEing IN a Unified Field of Pure Consciousness, there’s really no way to explain the experience. It’s beyond beautiful, easy and soft… simple, profound and there is pure peace, magic and love…. a purity, an innocence, immense kindness and caring… that transcends the entire human experience as it was “before”. BEcoming the entire Unified Field of Pure Source Consciousness, means you are this and you hold all in place. It means that all in your field are benefiting and receiving the immensity of these Pure Source Light Codes through presence, activating their field, their dormant Higher Consciousness DNA…. often without a clue (or intentionally where we each consciously agree to this). Holding this space, this place, this presence…. the vastness of NEW EARTH from within and transmitting it out with your whole ENERGY, BODY, PRESENCE, FIELD…. you are the Cosmic Gateway, you are the Galactic Gateway, You are the Ascension Gateway, you are the RAINBOW BRIDGE… which is a tiny part of what Gatekeepers/Gridkeepers/BridgeKeepers are/do. This is what we do, as EMBODIERS…. WE HOLD ALL FULLY FROM WITHIN…. We don’t shrink down, go small, hide our light or succumb to any ego anything (separation). We have the capability to complete transform all into Light ourselves, bring all into a SPACE OF PURE DIVINE LOVE…. just by BEing … our selves. This Divinity, this Purity, this Presence, this Essence… brings such grace, elegance and ease… to every situation, to every experience… there is no “trying… it’s our way of BEing…. it’s how we LIVE EVERY MOMENT and every BREATH…. We don’t separate off into human ego anything anymore, because the ego represents lack, fear and all of the lower frequency bandwidth energies of survival, safe and security…. which we don’t “need” anymore…. Through Embodying our highest selves, through holding our own light, through BEing pure Love… we recognize old programming and we choose not to bring that into our field, into our realities… as it serves no purpose/any of us…. we allow it to play out somewhere else, which correlates to “Old Earth”. Vibrationally, the two cannot exist within the same space. For short periods, for a brief exchange, sure…. yet not for very long, otherwise the UNIFIED FIELD IS COMPROMISED, which affects everyone’s reality…. and transports each back to old earth for an unconscious experience to “learn” and clear karmic timelines again. This is not a desired consciously chosen experience. Ever. Instead, we are all TRANSPORTED to NEW EARTH, through our own Ascension Vehicle (Merkaba), activated by our Physical LightBody/LightShip (shaking & humming), as our Merkaba builds on a cellular level and within our Universal Field (by way of us reversing our unconscious energy/action to conscious intentional presence and action, which starts to “cancel out” our “old” and rewrite our “new”. Once fully here, the geometrics start to restructure into our StarGates, which begins all new processes of living and working FROM NEW EARTH….. We can “travel” through the airwaves to other dimensions, times, realities… for example when we teach/do a interview or event…. we broadcast across all dimensions/times/frequency bandwidths, to work with/reach those who are ready to receive and elevate their own consciousness enough to also anchor NEW EARTH FREQUENCIES within, through their own awakening DNA, to become the anchor point/gatekeeper/gridkeeper/WayShower for their own area…. to hold these codes fully… to connect up the NEW EARTH GRID, becoming an important part of our NEW EARTH NETWORKING SYSTEM. It’s quite beautiful to observe and experience…. As we all (re)unite here… as Star Beings, Ambassadors, Emissaries, Christed BEings, Pure Source Light BEings…. as each steps-up and forth to honor and fulfill their highest roles here… we increase the transmission of NEW EARTH exponentially… making all possible for everyone to LIVE this here too…. as they are truly ready… just like we had to be. The human aspect has no idea what Gatekeepers & Gridkeepers do. Yet in order to LIVE the NEW EARTH Experience fully, each becomes this themselves. It’s challenging at first, because a huge part of this process is resolving our own lack programming, while fulfilling service roles from our purest place inside. There’s a huge process where our own body has to link up to Gaia’s Consciousness and we merge as ONE, pure love, pure gratitude, pure appreciation, pure RESPECT and appreciation and she breathes through us…. our own Grids of our bodies re-tuned constantly, so our bodies go through a lot. Holding Light within us while our bodies are re-writing DNA, recoding, recalibrating and the density “drops”… it’s a huge undertaking/process that isn’t visible to others not in our everyday lives…. So many are now going through this part. The immense physical body upgrades. Entire collectives not understanding (and resisting/inner-fearing with) their body’s evolution, their LightBody evolving, their own DNA re-writes… still “trying” to fit what’s happening with their body into “old boxes/belief systems”, instead of “getting out of their own way” and allowing these immense processes to occur naturally, easily and organically. Supporting our evolving LightBodies is KEY… especially through the intensity, weird, “appearing” unexplainable”, the bizarre and often very uncomfortable, even painful for awhile. Eventually all this clears… as each’s body becomes fully conscious again and links up to Cosmic Stargates, NEW Earth Grids and more. Crystals forming, the body’s operating system being completely re-worked, structures (bones/teeth) and systems (body chemicals, bloods, glands, organs)… all. Every part of the physical body goes through a huge transition/transformation/re-everything…. and not one part of MULTI-DIMENSIONAL BODIES fits into linear boxes/beliefs/experiences…. This Equinox Passageway, Gateways openings, are a marker point for us all. These mark the moment where all who are truly ready…. transition out of their own Old Earth realities into their NEW EARTH REALITIES more. The reason it’s so important, is because it’s massive collectives doing this…. which then correlates to the collective LIGHT QUOTIENT, which “tips the scales” huge, which “changes the tides” huge… which UP-SHIFTS ENTIRE TIMELINES to all new ones, with the blink of an “eye”…. All comes forth as each is truly ready for this. All “arrives” as each reaches the vibration for this. All materializes in form, as each holds the ENERGY themselves, as each lives this and transmits this fully out… through presence, through breath, through every conscious act of kindness, love and consideration…. At first, NEW Earth is supportive energies, one where each realizes they will always be supported, no matter what…. comes to feel and experience the pure abundance available, which opens portals/doors for much higher dimensional experiences to become available for all CONTRIBUTING in every way. Uniting to contribute is very different than the old ways where all came together out of lack. For human experiences, this will drive many together, to learn to share, to learn to support, to learn to care, to learn to work in unity for a higher purpose, much bigger than themselves. This is an important part of the process as well, because the unconscious human can’t see beyond themselves or what they are going through or what they “want”. As each “learns” to live this way…. then much bigger realities open up… ones that support bigger purposes, bigger realities… and require more from each one of us than ever before…. NEW EARTH IS AVAILABLE to all who truly, fully and willingly embrace this as a WHOLE NEW REALITY EXPERIENCE… as a whole new LIFE that looks nothing like our old….. This is what we DO here, WE hold NEW EARTH IN PLACE…. with our every breath, with our every action, with our entire PRESENCE….. our experiences are our reflection back…. of what we currently hold…. of our own priorities and our own ability to BE our Highest Aspects/Versions/Selves…. IN EVERY MOMENT ….. It gets a bit “weird and bizarre”, when we are standing in a DREAM…. where the colors, the skies, the entire physical reality is magical. Other’s judgments just don’t matter anymore…. because we don’t hold this within us …. and we realize that judgement shuts the door to NEW EARTH REALITIES materializing into the physical for all playing in these energies still…..
As each is fully conscious, the old falls away…. dissolves…. literally….. there will be no memory, as that entire Akash clears within each/all. What replaces this is NEW…. remembrance…. of LOVE and PURE Existences… and this is what we bring forth and live out through our NEW EARTH EXISTENCES here. Unity is a presence, it’s an ENERGY that we hold… and anything not vibrationally aligned with this… is loud. Because of this, it’s easy to say no. It’s easy to shift to where all is soft, loving, kind, respectful and easy again. It does mean “moving on” constantly and letting the old fall away…. It does mean “no holding on”, no attachment, no cords… or these will drain YOUR ENERGY, your vitality, your vibrancy, your NEW EARTH right out of you and you’ll be “back on old earth” in realities to resolve/dissolve again, where you have to focus on recharging, replenishing, rebuilding your own Light all over again…. and you will start to understand what happens to your physical body and your psychical reality when you let your light deplete…. It will affect your everything…. Holding Light, holding codes (as the ancients and key-code holders), holding the immensity of this energy to hold/generate the UNIFIED FIELD OF FULL CONSCIOUSNESS…. this is what we do here. It takes everything we have/are to do this, so allowing unconsciousness in our fields for very long, means that we are compromising, not holding, not fulfilling our highest everything here. As all are fully conscious and truly ready to UNITE, we do this…. we have to gauge, identify and choose… just as all do…. The moments we do come together, all fully on-board… it’s beyond beautiful to experience. Most can only maintain/sustain this for a very short time, because of how demanding full presence and consciousness is on their bodies/realities… Personally, I’ve not come into contact with many that can sustain, not going back unconscious for various reasons, usually a human experience where they’ve not worked through their own ego programming fully yet. Eve has been the only one truly ready to embrace and step up to the plate and bring all forth to unite, share and anchor much higher timelines/dimensional realities here together as our Star-Light Family incarnate here. I know there are others, yet they’ve not shown themselves fully yet, through their actions/energy, yet this is shifting as we all go. More are preparing, more are stepping up and forth, more are actually “doing” instead of waiting/sitting back/going back to their “safe” ego realities, like before. The “call” for StarSeeds/Souls to awaken, step up, step forth, open up, share, support, unite…. gets LOUDER with every passageway we enter into now. Solstices & Equinoxes are huge completions and openings for us all. We are still deeply in this one… which leads us into the next. With every moment in-between a passageway, opening up massive portals to our NEW and opportunities for each to embrace and anchor more NEW EARTH through them too! I love you! Happy Equinox Passageway and anchoring more new through you too! Honor your body as it integrates these immense Light Codes and re-writes your DNA for you. Surrender your own Ego and embrace the “new” and don’t forget to continually STEP-UP! Tis how we roll as Light Keepers/Beings here! Quote | This entry was posted in Uncategorized and tagged Ascensioin and Embodiment, believe, Lisa Trancendence Brown, LIVE OUR DREAMS, LIVE our LIGHT, love, new experience, NEWEARTH experience, no judgement, shifting into higher timelines. Bookmark the permalink.